The foundation layer mbLay is the basis for your application development. This software layer will just be added as a library to your product software. Besides an API that provides the abstraction of the underlying operating system, the foundation layer offers a powerful communication platform for exchanging data between threads and subsystems. For the application it does not matter whether the communication peers are located on the same CPU core or on different cores of the same SoC. Even the communication between cores of different subsystems of a distributed application does not make a difference for mbLay based products. On top of that, a unified interface is provided which allows logging of communication flows and application specific diagnostic information. 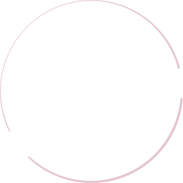 The same interface will be used to stimulate the target from an external test environment to verify internal data structures and functional behaviour. The Foundation Layer is supplemented by a tool chain that supports in a structured software development process. Please have a closer look into the whitepaper embenatics Design Methodology in order to get a brief introduction into the toolchain support of mbLay. Besides the functionality of thread synchronization the communication relationship among subsystems is based onthe exchange of structured data. The editor software mbEdit supports you in defining and maintaining these data structures. With a syntax similar to the programming language C, this editor helps you in defining data structures and services of interfaces and ensures that definitions are re-usable in the overall project. The communication links among threads and the used system resources are defined in a centralized approach. Especially in a multi-core environment this is a big benefit when it comes to the startup of the system and the maintenance of the system resources. Thanks to generator software these system definitions are compiled into C source code which can be used in the application development phase. Furthermore additional data is generated that is used to display the communication flow in a structured way. 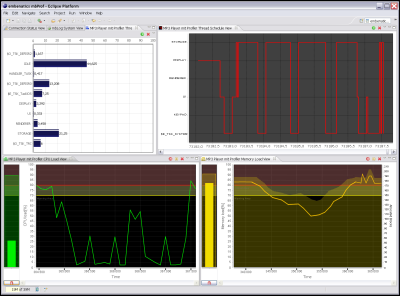 The visualization tool mbLog provides insight into the running target. 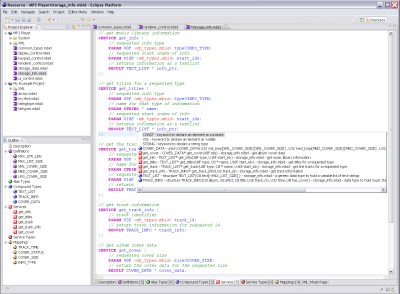 It shows user defined traces and displays the communication flows of the application processes in a well readable format. Various options for filtering and a user definable color map for communication peers and special events support you when analyzing your system. The diagnosis of several systems at the same time, the visualization of structured data as well as the storage and playback of log files are further features of this great tool. 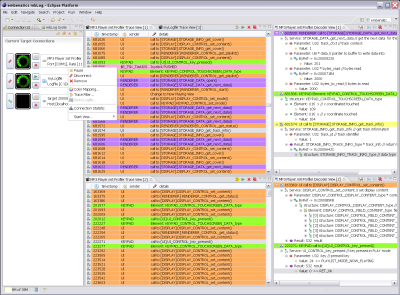 The mbProf application provides insight into the thread scheduling interrup load of your application. This enables you to optimize the system flow with regard to power consumption and CPU utilization. The historical information about dynamic memory allocations which is collected by the foundation layer and the memory load can be visualized by this tool. This provides you with an excellent support when it comes to reduce the memory consumption of the system or to identify memory leaks. 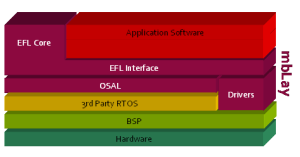 The diagnostic and test interface of the foundation layer mbLay allows to stimulate the services of the embedded system from a PC based test environment and to evaluate the resulting trace output. This supports the automatic execution of non-regression tests. An additional feature is the generation and execution of test patterns out of the logging information received from the target. All interface services defined with the help of mbEdit can be called by the test system. This allows the test of e.g. a driver or state machines that reside in target system. Whitepapers can be found in the download area for your study. Please don't hesitate to contact us in case of further questions.